Would Your Family Know What to Do? With our Free Life Organizer Kit you can keep all of your important documents in one place. Call today or complete the form below to talk with one of our caring staff about receiving your copy. Our Life Organizer Kit is expandable, has a closure and can be stored in any file cabinet. 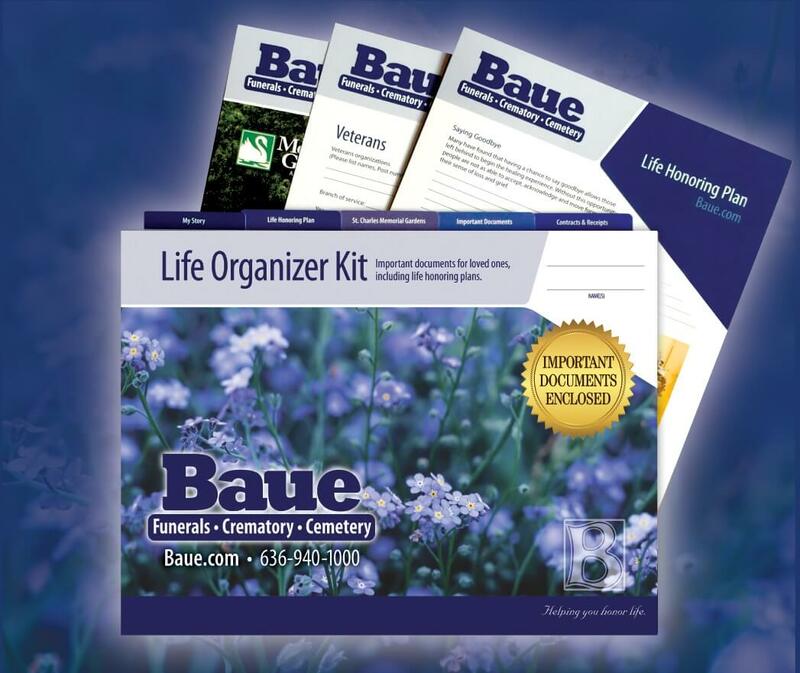 Limited quantities available, call 636-940-1000 now for your Life Organizer Kit.